Tomka And His Friends free public screening at American University, Washington, DC. 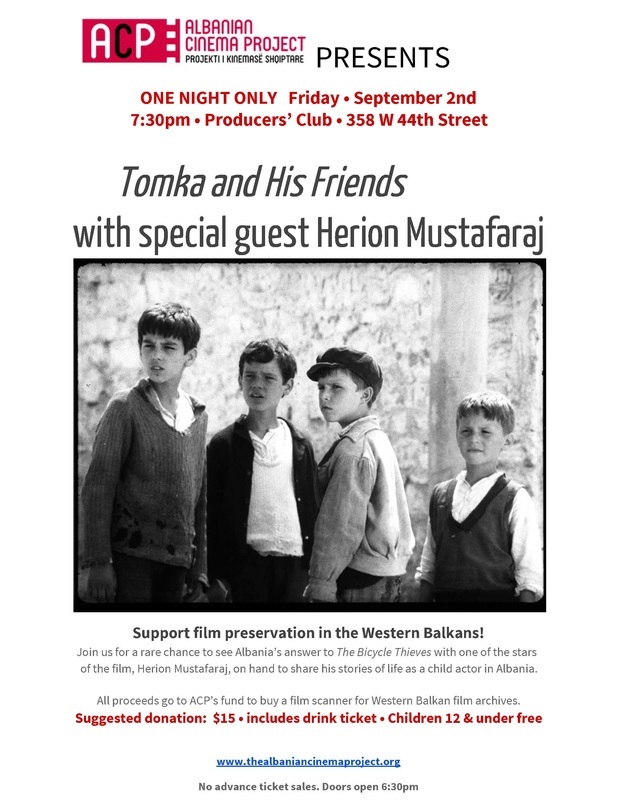 Sponsored by the Albanian Embassy to the United States, The Albanian American Academy and the Albanian Cinema Project. Tomka And His Friends NY Theatrical Premiere Alamo Drafthouse Yonkers. No advance sales. Door opens at 6:30pm, show starts at 7:30pm.